8th March – 13th May 2019 – Information sessions are live on eventbrite. These sessions are for all providers, even if you are an ECCE only provider, it will benefit you to hear about the new scheme and the new online platform. If any services missed the session they were booked on, they can rebook on one of the remaining four information sessions. Applications for the Programme Support Payments will open on Monday 13 May and close on Friday 21 June. We will be putting a reminder in the bulletin nearer the time. The payments equate to 7 days’ (1.4 weeks’) registrations for ECCE at Standard Capitation, and 14 days’ (2.8 weeks’) registrations for CCS(P) and TEC. The application form will be available on PIP. Payments will issue the week after the closing date for applications. Please note that no applications will be accepted after 21 June. The Minister for Children and Youth Affairs, Dr Katherine Zappone, has welcomed the news of the overwhelmingly positive response to the new National Childcare Scheme, the pathway to quality, affordable, accessible Early Learning and Care and School-Age Childcare. A huge year for childcare in Ireland, a nationwide Communications Campaign is now underway to raise awareness and help both parents and providers to prepare for the National Childcare Scheme’s opening in October. The Scheme’s website, www.ncs.gov.ie went live on Monday 11th of March, and with over 23,000 hits so far is already proving hugely popular. 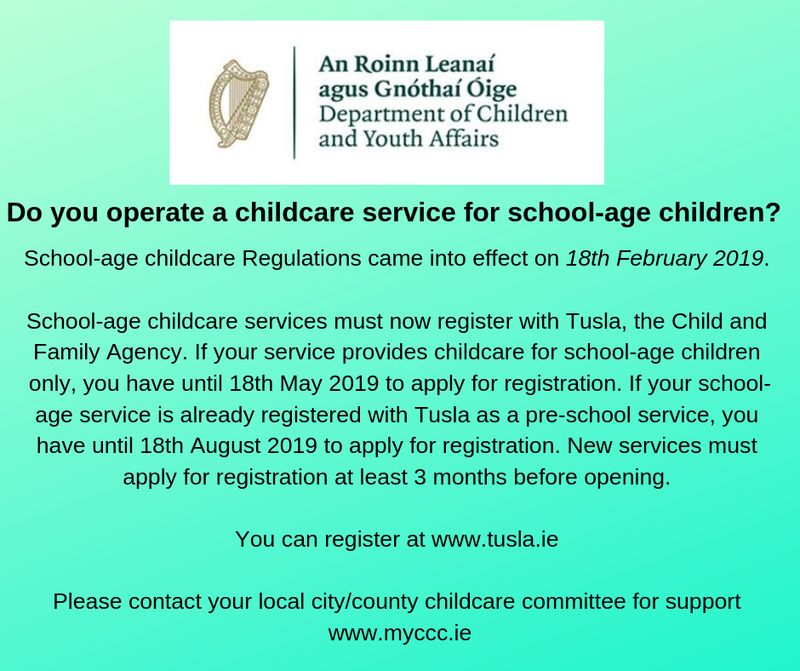 Under the Child Care Act 1991 (Early Years Services) Regulations 2016, a new regulatory requirement will come into force from June 1st, 2020. From this date under Regulation 25, there must be a person(s) who has trained in FAR (First Aid Response) with a trainer approved by the Pre- Hospital Emergency Care Council (PHECC) immediately available to children attending the childcare service. The DCYA has opened a FAR Reimbursement Fund which will fund one FAR first aid training place per registered early learning and care services / registered childminders to a maximum of €225 per full course or €175 per refresher course. To support the sector to meet this requirement services can claim back the cost of one staff member attending this training. 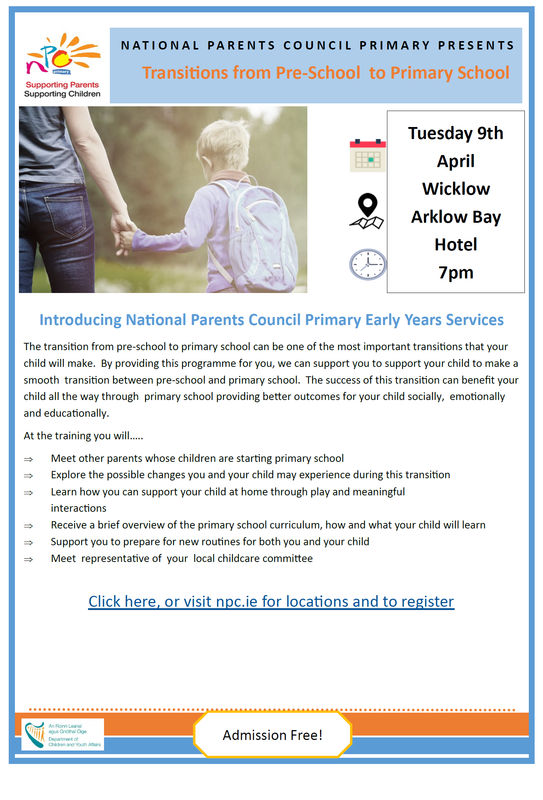 Child protection and welfare training for the early years sector in Wicklow is delivered by Wicklow County Childcare Committee. The role that early years practitioners have in the lives of children and their families means that they are uniquely placed to recognise when there are concerns about the safety, welfare or well-being of a child. Early years practitioners and services also have a responsibility for safeguarding the children in their care through their policies, procedures and practice. 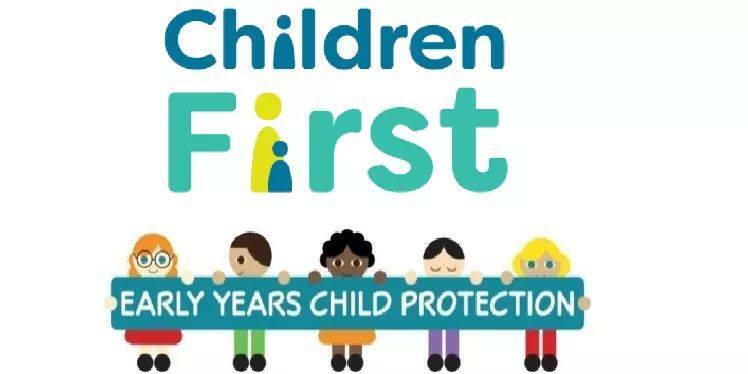 This is a new training programme and has been updated to reflect the changes in the revised Children First: National Guidance and the Children First Act 2015. 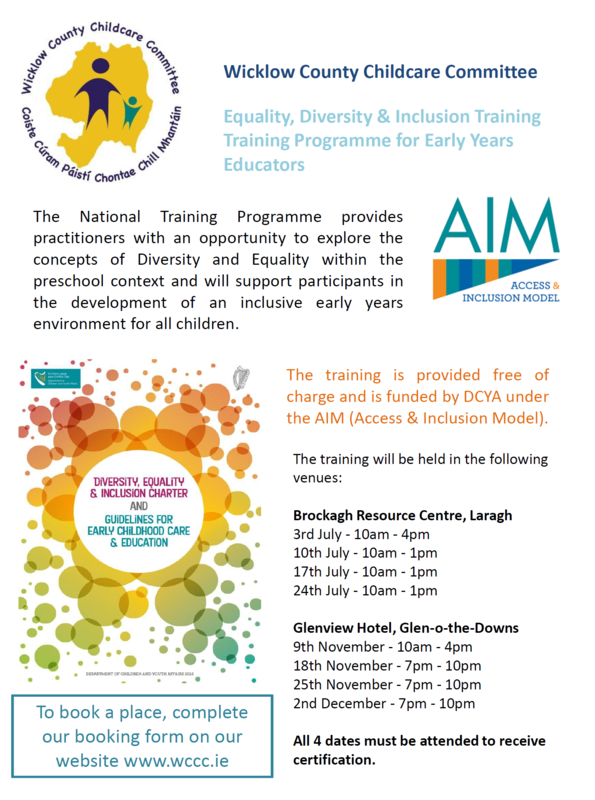 This Foundation Training is a standardised programme for all staff involved in direct work with children and families. All Designated Liaison Persons (DLP) and Deputy Designated Liaison Persons (DDLP) will be prioritised for this training. There will be no refresher training available in 2019. Please note: The E-Learning programme “Introduction to Children First” must be completed prior to attending this training. You will be required to forward a copy of your E-Learning completion certificate to complete your booking for this training. E-Learning available via link below. This is a Child & Family Agency accredited module that has been developed for the early years’ sector. Certification is valid for three years. Cost €10 per person payable at time of booking via eventbrite.